If you need to buy wooden pallets or other types of packaging materials, then it’s essential that they comply with the rules on heat treatment and sterilisation. This ensures that they are free from insects and other pests that could damage the ecological environment of the destination country. What are the guidelines and how are wooden packaging materials sterilised? What Do the Guidelines State? The International Phytosanitary Standard for Wood Packaging (ISPM 15) applies across all European Union countries and 14 other nations throughout the world. It requires that any wooden packaging materials used to transport goods are correctly heat-treated or fumigated to ensure they’re sterile. These guidelines apply to all forms of wooden packaging, including pallets and crates. Both hardwoods and softwoods need to be sterilised, but plywood packaging is exempt from the guidelines. All packaging materials that comply will be marked by the approved manufacturer. Why Does the Wood Need to Be Sterilised? Heat-treated and fumigated wood prevents insects, termites and other parasites from travelling across the globe. Varieties that are particularly problematic for wooden packaging include the Asian Long-horn Beetle and the Pine Wood Nematode. New species can have a negative impact if they get into the eco system of a different country. What Is the Sterilisation Process? Before the wood can be sterilised it needs to be debarked. This stops the materials from being re-infested, either before they’re manufactured into packaging or whilst they’re being used. Following this, the material is sterilised. This can be done by heating the wood in an oven or kiln until the core reaches a temperature of at least 56 degrees Celsius for a minimum of 30 minutes. Heat-treated wood will have a lower moisture content and therefore weigh less than before. However, it will also be stronger than untreated wood. Alternatively, the wood can be fumigated by using methyl bromide at the correct dose and temperature. Once this process is complete, the materials will be stamped to show they comply with the guidelines. 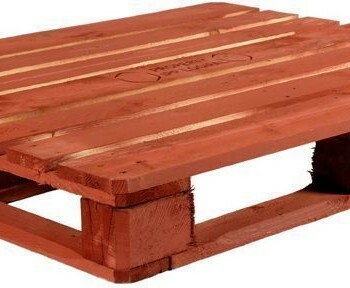 If the wooden pallets or crates need repairing, then it’s important this is carried out by an approved company. When the repair is complete, the packaging must be re-treated. The initial stamp will be removed and a new marking of the repairer will be put on. It’s important when you’re sourcing wooden packaging materials, including pallets and crates, that you use an approved supplier. This will ensure that they are aware of the current guidelines and that their products are correctly treated and authenticated. What Happens If the Packaging Doesn’t Comply? There are substantial risks involved in not using packaging that complies with ISPM 15. Materials that haven’t been sterilised could be either held or sent back once they arrive at their destination. You could then be left to cover the costs of transporting the items back and cannot provide them to your customer on time. Even if only part of the consignment doesn’t comply, all the remaining goods could be turned away as well. These guidelines are designed to protect the natural environments of countries across the world. Introducing new insects could have a devastating effect on natural wood supplies, leading to potential shortages for the packaging industry. Therefore maintaining a healthy supply of wood is important for all concerned.